I love french onion soup. Sometimes I go to certain restaurants just because they serve french onion soup. – 2 Tbs of Flour. – Melt the butter with the olive oil. – Caramelize the onion and stir around to get them all coated in the butter and olive oil. – Add a little Salt and Pepper and some herb leaves (I used a bay leave and thyme). 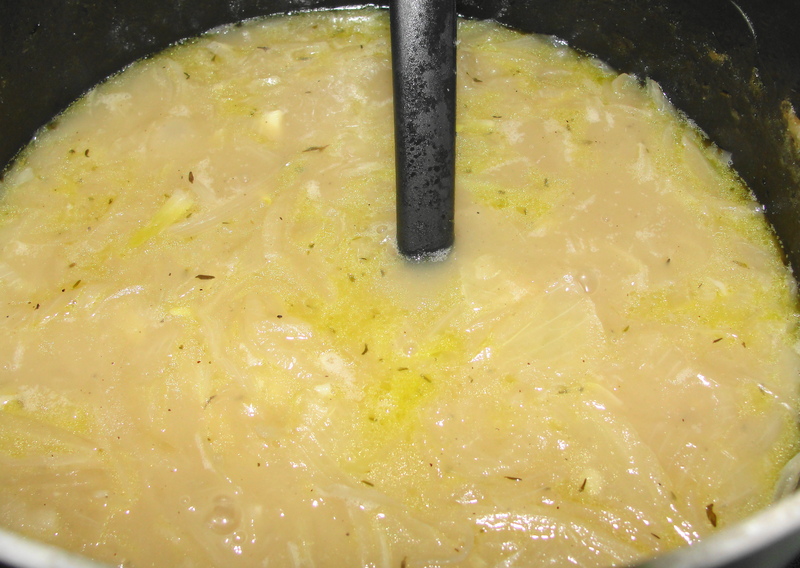 – Cover the pot and let the onion caramelize for about 20 minutes then remove the bay leave. – Add the flour and stir for about 2 to 3 minutes until the flour is mixed well. – Add the beef Broth and Wine (I used white wine). – Simmer uncovered for 1 to 2 hours. – Taste every once in a while and add more beef Broth and wine as needed. – Broil some slices of French baguette on both sides. 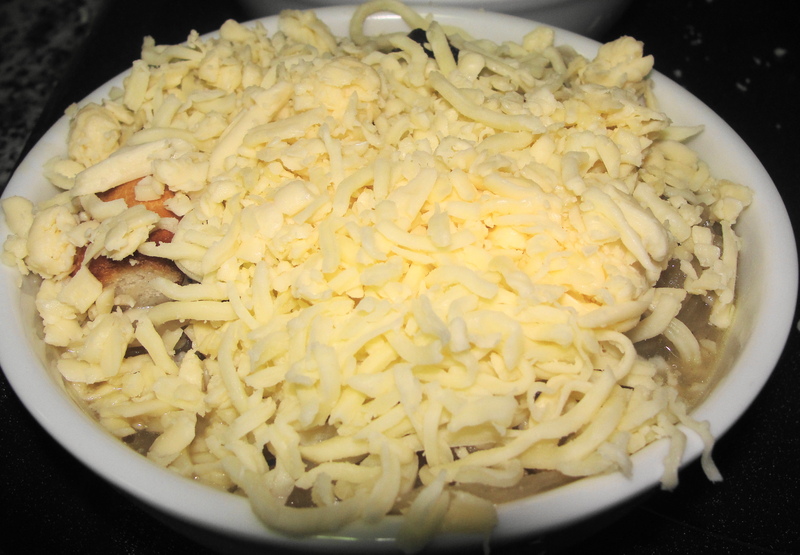 – Grade some cheese (your choice) – You can mix cheeses as well. 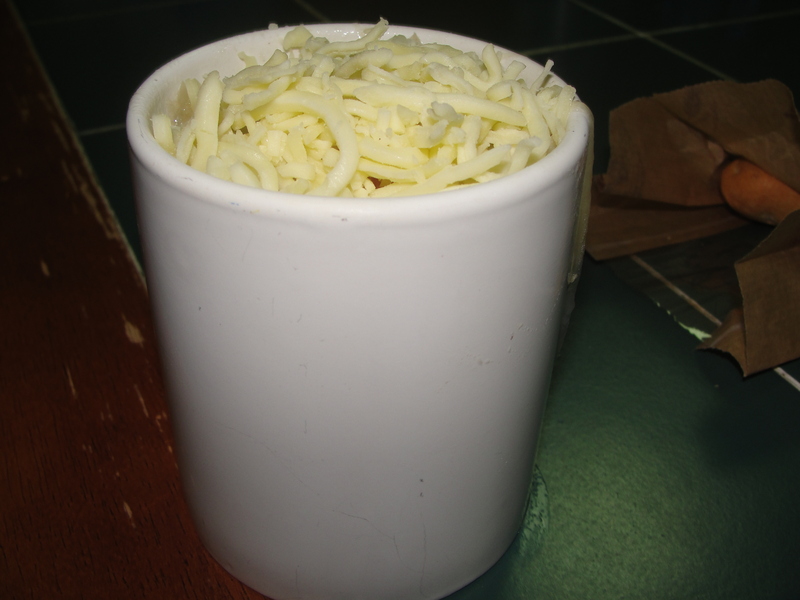 – Using a coffee mug or any ceramic pot, put a slice of bread in the bottom then add the soup and top it with another slice of toast then cover with the cheese and broil them until the cheese is melted and bubbly. 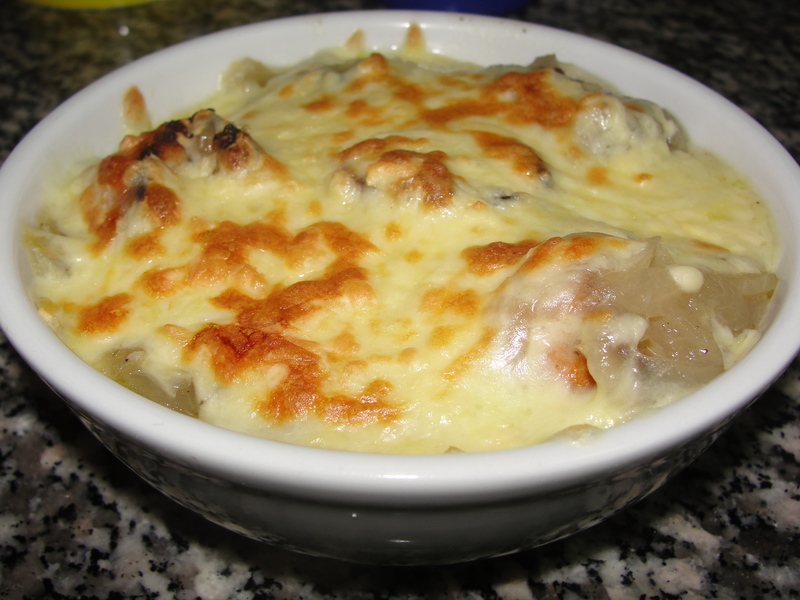 This entry was posted in Soup and tagged French, Gluten Free, Low Carb, Onion, Soup. Bookmark the permalink. Thanks for the tips, this certainly looks delicious! 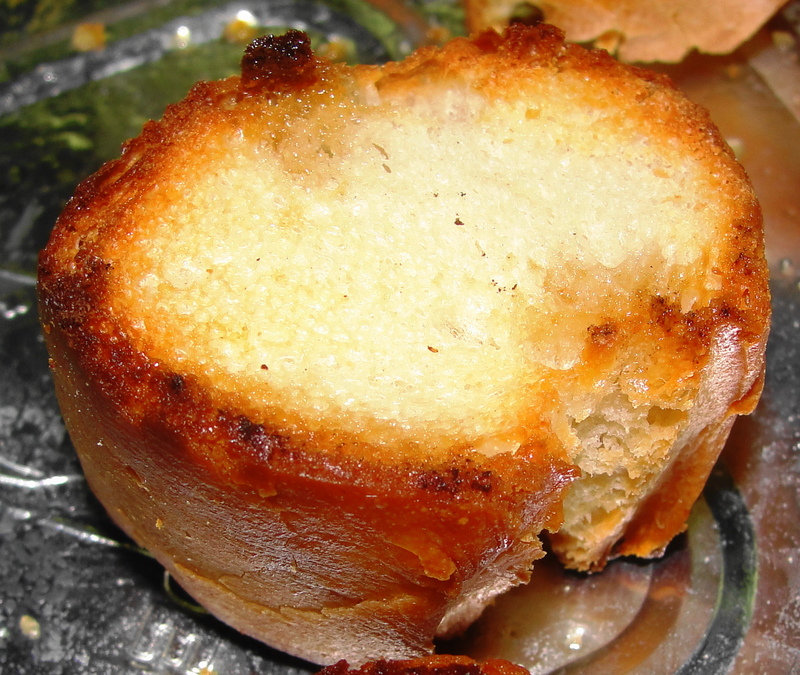 we’re cooking this now… we did it last time and it’s an amazing recipe!